The world is reeling from cascading threats. Climate change, pandemics, inequality, conflicts, terrorism and even the terrifying prospect of nuclear war are all on the rise. Yet exactly when international cooperation is most urgently required, collective action is found wanting. Part of the reason is that the four-century-long experiment with nation states is unraveling. And with our nation states on the ropes, 20th-century institutions like the United Nations and World Bank are paralyzed. Countries are struggling to keep up with the pace and scale of change. They are rapidly ceding sovereignty to alternative configurations of governance, power and influence. The Fourth Industrial Revolution is hastening this shift. While nation states aren’t going to disappear overnight, power is increasingly distributed across non-state networks, including regressive ones. It is not just multinational companies and philanthropic organizations that are exerting ever greater influence, but vast conurbations of mega-cities and their peripheries as well. Large and medium-sized cities are especially well suited to solve many of our planet's most daunting challenges. 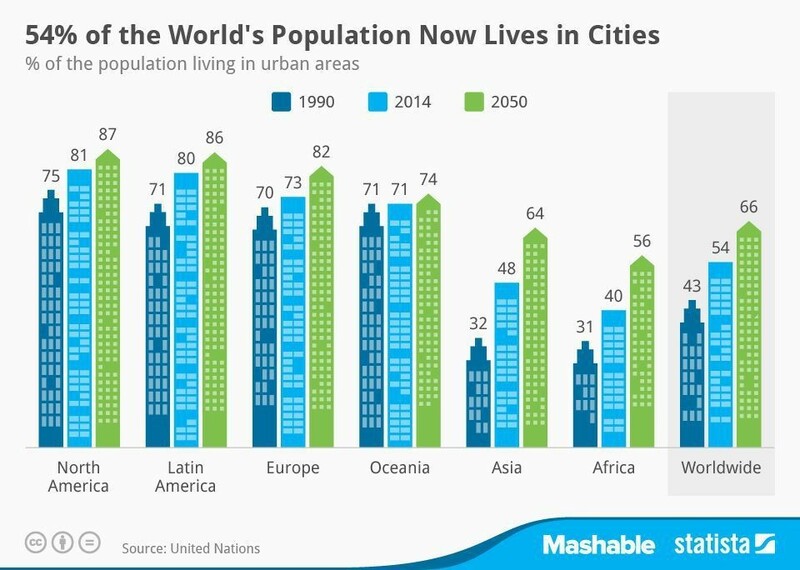 For one, more than 54% of the world’s population now lives in a city, compared with less than 1% when nation states showed up on the scene. 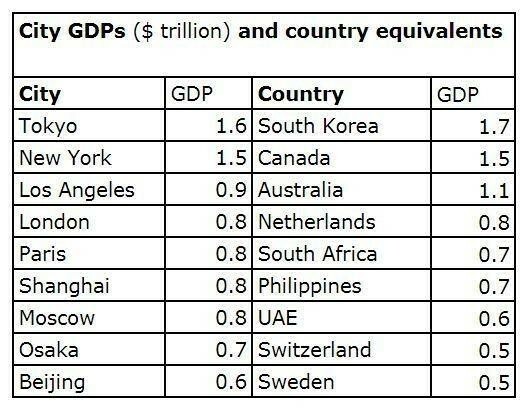 This is one reason why cities are the new power centre of the global economy: they are platforms for human-led innovation, entrepreneurship and growth. And where nation states are instinctively independent, competitive and defined by rigid borders and parochial ideas of sovereignty, cities are dramatically more interdependent, cooperative and open. Cities are the perfect antidote to reactionary nationalism. While cities are steadily accumulating economic power, they still lack global political clout. To their credit, some large urban centres are investing heavily in inter-city diplomacy. Global cities such as Chicago, Los Angeles, New York, Paris, Singapore and Shanghai have elaborated a global vision linked to their municipal interests and capabilities. Early adopters of city diplomacy such as Berlin, Cape Town, Hong Kong and Toronto are teaming up with universities, think tanks and private brokers to forge economic, cultural and security ties with their counterparts overseas. Cities are finding common cause. But to really set the global agenda, they must act collectively and find a common voice. And today that is starting to happen. Hundreds of cities across the US have banded together to rebuff the White House on issues ranging from climate action to sanctuary for so-called undocumented migrants. As nation states default on their national sovereignty, cities are exerting their own sovereign responsibilities. There has also been a veritable explosion of networks linking cities not just in the US but across the world. There are currently more than 200 of them, including the United Cities and Local Governments, the ICLEI network and C40, to deal with issues as wide-ranging as welcoming refugees and public safety to reducing greenhouse gas emissions. There are already more networks of cities than there are of nation states, though the former do not have nearly as much power. An expression of the potential of city collaboration is the newly established Covenant of Mayors for Climate and Energy, which includes more than 7,500 European signatories, covering at least 250 million people. The covenant commits cities to cutting CO2 emissions by at least 40% by 2030. Meanwhile, 382 so-called "climate mayors", overseeing 68 million Americans, also reaffirmed their commitments to the Paris Agreement days after the US announcement of its withdrawal. A Global Parliament of Mayors was launched in 2016 precisely to empower cities to assume greater leadership and speak with a common voice. More than 70 mayors from around the world have signed up to join forces on climate action, supporting migrants and strengthening local governance. While it is still early days, the parliament could serve as a potent force at a time when the United Nations Security Council and the General Assembly are unable or unwilling to address the most extreme global challenges. The Global Parliament of Mayors is designed to empower mayors to do what they do best: take action. It gives them a voice and a seat at the decision-making table. It also provides them with a vote on an emerging urban agenda. Nation states still resist giving cities more say in global affairs – a situation that is no longer acceptable given the latter’s ascendance. The parliament also strengthens cities’ capacities to veto decisions that run contrary to the urban imperative, especially in those parts of the developing world where cities are weakest. Cities are already taking the lead on some of the most pressing issues of our time. They do not need to ask nation states for permission. While there are no simple answers to the world’s most intractable problems, the fight for clean energy, equality, security, justice and sustainable development will take place in our cities and must involve their residents. After all, cities are where the future happens first. That city leaders are already forging global alliances and proposing practical solutions – where nations are treading water – offers a rare glimmer of hope.